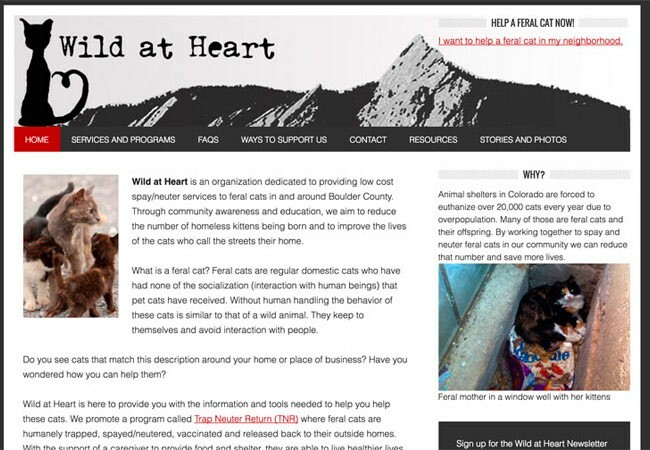 Wild at Heart is a Boulder, CO based organization that uses the nationally recognized program Trap Neuter Return (TNR) to humanely trap, spay or neuter, and vaccinate feral cats in an effort to reduce the homeless cat population. The cats then receive a small ear tip to identify them as altered, and are released back to their outside homes. Services performed on this site include: customization of the Metro theme on the Genesis framework.